Aside from an impressive recording career that has spawned ten studio albums since 1985, a-ha’s principal three members have also built up a considerable back catalogue of quality songs via an array of side projects. In this article, Barry Page takes an in-depth look at the solo career of their guitarist and main songwriter, Pål Waaktaar-Savoy. a-ha’s hiatus in the 1990s was erroneously described on their Homecoming DVD as a ‘seven-year itch’. But in truth, a-ha were still a working band right up until the summer of 1994; completing the recording of ‘Shapes That Go Together’ (a minor UK hit single) earlier in the year for the Winter Paralympics in Lillehammer, before concluding the Memorial Beach tour in June. Following an invitation to perform at the Nobel Peace Prize concert in Oslo in 1998, the band reformed just over four years later. If a-ha’s frontman, Morten Harket, had decided that a-ha had run its course by 1994, Pål Waaktaar-Savoy certainly didn’t know about it as he worked on demos¬—which he later revealed included ‘Little Black Heart’ and ‘Minor Earth Major Sky’—for the follow up to 1993’s Memorial Beach. But it soon become obvious to him that Morten’s primary concern was a solo career, which had already been kick-started with the late 1993 release of Poetenes Evangelium, a collection of Norwegian-language collection of poems by various writers set to music. Morten had aligned himself with a-ha’s manager (Terry Slater), signed a major recording deal with Warner Brothers, and started working with Håvard Rem on the songs that would eventually form the Wild Seed album. An unimpressed Pål would famously vent his frustration in the song, ‘Daylight Wasting’: “Singer was fair but got it wrong/ He never did justice to my songs/ He did more for me and that’s a fact/ When he went and stabbed me in the back”. Pål pondered various options, which at various points included reforming his previous band, Bridges, working with Magne Furuholmen in a new band, and recording an album with Talk Talk’s Mark Hollis. In the end, a new band was formed with his wife, Lauren Savoy. 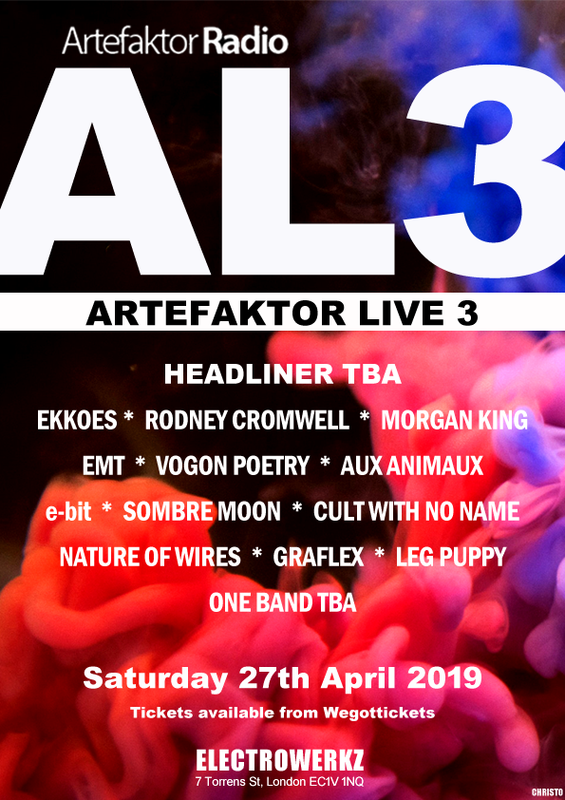 The couple, who were both now based in New York, would both sing and play guitar, while drummer, Frode Unneland (from the Norwegian band, Chocolate Overdose) would eventually complete the new line-up. Norwegian tabloid newspaper, Dagbladet, reported in January 1995 that the new band was called Savoy and that they’d commenced work on their debut album, provisionally titled Fade. Lauren had met Pål prior to a-ha’s meteoric rise in the mid-1980s and the pair eventually married in December 1991 (Pål had presented the song, ‘Angel In The Snow’, as a wedding present to Lauren and performed it at the ceremony in place of a speech). Lauren was something of a peripheral figure in phase one of a-ha’s career, not only co-writing the song ‘Cold River’ and directing the promo video for ‘I Call Your Name’, but also producing and directing the tour video Live In South America, a document of the East Of The Sun, West Of The Moon tour. Pål already had some experience as a lead singer via the progressive/psychedelic rock band, Bridges, that he’d formed with Magne Furuholmen circa 1977/1978 (see our separate feature). Whilst the syrupy vocals of Lauren would divide fan opinion, Pål’s rougher vocal tones would prove the perfect fit for the new band’s blend of 1960s-influenced indie rock. 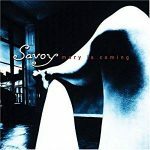 Savoy’s debut album, featuring songs co-written and produced by the husband-and-wife team, was completed in 1995; but it wouldn’t be released until February 1996 – the Norwegian media speculated that the record company didn’t want the album to clash with Morten Harket’s Wild Seed. Whilst ‘Velvet’ was scheduled as the band’s debut single, the first track to be officially released by Savoy was actually ‘Foolish’, which appeared on a CD compilation album affixed to copies of Norway’s now defunct music magazine, Beat. Pål later described it as his most aggressive song to date, and more recently declared it to be one of his favourite songs. Shortly afterwards, ‘Velvet’ reached the top of the VG-Lista chart. One of the slower numbers on the album, the track featured Simone Larsen from Oslo-based pop band D’Sound – her backing vocals, which ghosted in and out to great effect, provided the song’s memorable hook. ‘Velvet’ did not chart in the UK but the song would prove to be a perfect fit for a-ha, and it enjoyed a new lease of life as the third single to be lifted from 2000’s comeback album, Minor Earth Major Sky. Without the recognisable voice of a-ha amidst their ranks, Savoy were always unlikely to match the success enjoyed by Morten Harket, and their odds of global success were slashed considerably when Danny Goldberg, the man who had originally signed them to Warners, left the label. MTV had reported that he had been a “vocal supporter of artists’ right to express themselves as they see fit on their recordings”. Without Goldberg’s support, Savoy’s album soon disappeared from public attention, despite some promising sales in Norway (like ‘Velvet’, it hit the top of the charts). However, the band were nominated for two Spellemannprisen awards—the Norwegian equivalent of a Grammy—in the spring of 1997, but lost out in both the ‘Best Band’ and ‘Best Newcomer’ categories. During this period, the band also signed a new recording deal with EMI. Sessions for Savoy’s second album included bassist Greg Calvert, who had previously played in a New Jersey band named The Selves. Prior to some festival dates in the summer of 1996, Calvert had bedded himself in on a new—almost unrecognisable—version of a-ha’s ‘October’ (from Scoundrel Days) on the b-side of ‘Velvet’. The band also incorporated the likes of ‘I’ve Been Losing You’ and ‘Sycamore Leaves’ into the set lists, and a more rock-based version of the latter track (from East Of The Sun, West Of The Moon) would later find its way on to the new self-produced album. The serviceable ballad, ‘Rain’, was issued to Norwegian radio as a promotional single, and was somewhat indicative of the largely downbeat feel of the band’s second album, the title track being a case in point (“Lackluster me/ Stands before you”). The bleakness continued apace with ‘Unsound’, with a grungy bass line complementing the biting lyrics (“No point asking me to stay/ I’d rather walk away”). Elsewhere, ‘This That And The Other’ featured some more indie rock grit, recalling Eels’ hit ‘Novocaine For The Soul’. With the recruitment of Calvert effectively freeing up Pål to utilise a broader sonic palette, Lauren was also afforded the opportunity to add a touch of art-house pop to the mix with a daring double header: ‘Foreign Film’—which she later revealed was the first song she’d ever written—saw the band experimenting with electronics and Mellotron sounds, while the more abstract ambient piece, ‘Flowers For Sylvia’, served as an interesting tribute to the prolific Boston-born poet and novelist, Sylvia Plath, who’d committed suicide in 1963, aged just thirty. Against a backdrop of unsettling sound effects, Lauren recited a selected list of Plath’s poems in a spoken word homage. (Later she would reference Plath’s novel, The Bell Jar, in 2004’s ‘Girl One’). The album included several gems: The beautifully wistful ‘You Should Have Told Me’ rates as one of Pål’s best ballads, while the faster-paced rock workout, ‘I Still Cry’, was another standout. Other tracks worthy of note included ‘If You Tell’, which included some charming Beatles-esque melodic touches, and ‘Hey Luchie’, a sequel of sorts to ‘Angel In The Snow’ which had been penned while a-ha were on tour in South America. (Luchie was Lauren’s nickname). 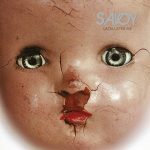 Featuring a creepy sleeve depicting the cracked face of a doll, Lackluster Me hit Norwegian record stores in October 1997, peaking at No.12. Whilst it lacked some of the pop hooks prevalent in its predecessor, it was, sonically, a much more satisfying album, and something of an ideal companion piece to Radiohead’s highly rated OK Computer, which had been released just months earlier. (Drummer Frode Unneland later revealed that Savoy had been listening to the Oxfordshire band’s second album, The Bends, during the making of the album). A promo CD featuring the non-album track, ‘Xmas Time (Blows My Mind)’, was given away with copies of Lackluster Me during the Christmas period. Whilst the album only enjoyed modest sales, critics were certainly impressed and it earned Savoy another Spellemannprisen nomination (for ‘Best Rock Album’). As part of a Savoy reissue programme, the album was re-released by Apollo Records in December 2016, including a limited edition vinyl that marked its first release on the format (due to the limitations of vinyl, some of the tracks were edited). The first half of 1998 saw Savoy performing some of their songs at showcase gigs in the UK and the USA. Pål also busied himself with other ventures; firstly exhibiting a collection of his oil paintings—¬titled Rammer—at a gallery in Lillehammer, and, secondly, producing a single by Norwegian band deLillos, titled ‘Tyve Null Tre’. His only previous experience of working with other acts had been the (now very rare) Y Me single, ‘Dance With The World’, which he’d remixed in 1985. (Y Me was the alias of Tore Aarnes, the owner of Octocon Studios, where the debut album by Bridges, Fakkeltog, had been recorded in the summer of 1980). Following an approach by the organisers of the Nobel Peace Prize concert to perform, the members of a-ha met during the summer to discuss their future. This eventually led to a full scale reunion, which encompassed a new studio album and world tour. Plans were also afoot for Savoy to release a third record, which meant that both acts would be working concurrently over the next few years; a move Pål would later describe as “madness”. The first fruits of these self-produced recording sessions arrived in July 1999 with the release of the promotional single, ‘Star (I’m Not Stupid Baby)’, which would earn the band another Spellemannprisen award nomination. Featuring Lauren on lead vocals, it provided a taste of what was to come: well-produced songs with a catchier pop sheen; an antidote to the previous album’s more sombre inflections. Of the pacier tracks, ‘Any Other Way’ and the Revolver pop of ‘Grind You Down’ provided two bona fide Savoy classics, the latter featuring a memorable guitar motif. Other highlights included ‘Man In The Park’, which was inspired by the couple’s visits to Washington Square Park; ‘End Of The Line’, which was sumptuously imbued with the spirit of Burt Bacharach, and ‘Bottomless Pit’, which subtly evoked the melodic craft of Rubber Soul. With both a-ha and Savoy running in tandem, both acts’ new albums inevitably ended up featuring some of the same musicians. Drummer Per Lindvall—a mainstay of a-ha’s recording and performing team in the noughties—guested on ‘Man In The Park’, while Savoy’s Frode Unneland featured on a-ha’s ‘Minor Earth Major Sky’ and ‘The Company Man’. Lauren co-wrote ‘The Sun Never Shone That Day’ and added a distinctive backing vocal to ‘You’ll Never Get Over Me’, while Magne Furuholmen added a gorgeous clavichord part to Savoy’s ‘Bottomless Pit’. Many of the tracks on Mountains Of Time were also enriched with strings, which resulted in a euphonious listening experience. The album, boasting a Lauren Savoy-designed sleeve that harked back to the 1960s, was released in July 1999, with initial copies including a bonus EP of exclusive tracks. Reviews were unanimous in their praise, and there were celebrations-a-plenty in the Waaktaar-Savoy household throughout August and September 1999, with the couple announcing the birth of their child, True August, and the album hitting No.1 in the Norwegian charts. The celebrations continued in February 2000 when Savoy were awarded a Spellemannprisen award for ‘Best Pop Group’. Later in the year, fans and critics alike would hail a-ha’s comeback album, Minor Earth Major Sky, and it was no surprise when Pål later described this period as one of the highlights of his career. Like its predecessor, the album was reissued on both CD and vinyl by Apollon Records in 2017. Again, some of the tracks were edited (due to vinyl space constraints), while the sleeve and booklet were revamped as the original artwork couldn’t be sourced. Sonically, the new album didn’t stray too far from previous long player’s template, though it did employ a greater use of strings this time around; particularly on the title track. There was, however, a change of bass-playing personnel with the arrival of Jørun Bøgeberg (who’d previously played on the Memorial Beach and East Of The Sun, West Of The Moon albums). There was another a-ha connection, too, in the form of Anneli Drecker, who would later duet with Morten Harket on ‘Turn The Lights Down’ and perform with the band on the subsequent Lifelines tour. On Savoy’s album, Drecker guested on the quirky synth-pop number, ‘Fear List’, which included off-the-wall lyrical couplets such as “It’s so itchy you have to itch/ It doesn’t matter if it bleeds.” Not one of Savoy’s greatest lyrical moments, but its inclusion proved that the band were still prepared to experiment. Far better was the more conventional ‘Paramount’, which recalled the mid-1990s indie pop of acts such as Lush and Garbage. 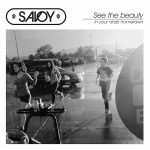 While the album didn’t quite meet expectations, it was certainly a worthy addition to Savoy’s increasingly impressive body of work. And the bands’ hard work paid off with yet another Spellemannprisen award for ‘Best Pop Group’. The album was due to be reissued by Apollon, but its release has been delayed. There would be a wait of almost three years for the next Savoy album as Pål was fully committed to a-ha and the promotion of Lifelines throughout 2002. Savoy’s fifth album would employ a more organic, back-to-basics approach and something of a return to the melancholic intonations of Lackluster Me; not just in terms of its musical content but also its presentation. Produced by Frode Jacobsen (from the successful Norwegian rock band, Madrugada), the album was simply titled Savoy and released on their own Eleventeen label, while the sleeve featured (barely legible) handwritten lyrics and credits. Further emphasizing the band’s solidarity, Lauren was given a greater share of the lead vocals. Such was the wealth of material available during this period, the band briefly considered releasing a double album, before opting for a standard 12-track set. Some songs that had been earmarked for Lifelines, but later rejected, were considered for inclusion on Savoy. 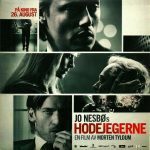 These included ‘The Breakers’, which featured a vocal from Pål’s friend, Jimmy Gnecco (frontman for the rock band Ours). Also included on the new opus was the stunning ‘Whalebone’, a song which had been written for the Norwegian film, Hotel, Oslo – it also served a dual purpose as the album’s first promotional single release in August 2004. The track was also notable in that it recycled, to great effect, the “O weeping night/ O grieving sky…” lyric from a-ha’s ‘Locust’ (see Memorial Beach). 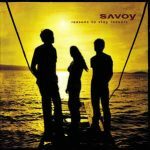 Like the previous album, Savoy was not short of New York references; from the wonderful laid-back vibe of ‘Girl One’, with its South Street Seaport setting and Byrds-like guitar, through to the gorgeous snow-covered ‘Watertowers’, which harked back to the White Album stylings of Lackluster Me. By the time of the album’s recording, the city of New York was still coming to terms with the events of the 9/11 terrorist attacks, and there’s a pervading sense of despair on the album; evident on more politically-imbued tracks such as ‘Shooting Spree’, a Lennon-inspired narrative about a gunman who “Kills everyone that gets in the line of him and his gun/ Then shoots himself when he’s done”. And then there’s the brooding, funereal closer ‘Isotope’ which saw the band ruminating over environmental affairs against a soundscape of guitars, electronics and backwards effects; permeated throughout with some chilling death bells. Tensions were eased with the McCartney-like playfulness of ‘Bovine’ (“You have to be gifted/ To get me out of bed”), but Savoy’s ‘brown’ album was a largely sombre affair. There was no doubting the quality of the product, though, and the band deservedly received another Spellemannprisen award nomination. The album was released in Norway at the end of August 2004. The band toured there throughout September with new bassist Maya Vik, but Pål’s attention was about to swing back to a-ha once more, with the recording of Analogue commencing in the spring of 2005. With Pål committed to a-ha, Savoy effectively went into hibernation, before re-emerging with the Savoy Songbook in 2007. Lauren’s only recording during this period had been a contribution to Anneli Drecker’s second solo album, Frolic, in 2005 (a vocal part on the Blancmange-sampling, ‘The Monkey Trap’). Pål also found time to add a vocal to ‘Goodbye Sweet Sorrow’, a track that featured on the 2006 album, Piece Of Paradise, by Maya Vik’s band, Furia. 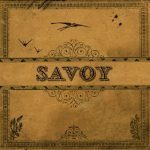 Savoy’s next release represented something of a misstep for the band; a somewhat confused retrospective featuring an album of seven re-recordings and three new tracks, plus a second disc of previously released band favourites. Guest musicians included Rob Schwimmer, who would later contribute a theremin part to a-ha’s ‘Under The Make-up’ in 2015. Arguably, a single CD compilation may have served as a better introduction to the band, who were using the opportunity to present their blend of melancholic indie pop to a wider audience. Of the new tracks presented, ‘Karma Boomerang’ impressed the most. Another New York-inspired track (in this case, the Grey Bar coffee house in Carmine Street), the catchy pop song was redolent of their Mountains Of Time period and duly released as a promotional single in April 2007. Despite boasting a fuller production, the re-recordings rarely improved on the original tracks and the album attracted some mixed reviews when it was released—on the Universal label—in August 2007. In May 2008 the three members of a-ha came together to showcase their side projects at some unique shows in both Oslo and the prestigious Royal Albert Hall in London. Both Morten Harket and Magne Furuholmen had released new albums that month—Letters From Egypt and A Dot Of Black In The Blue Of Your Bliss, respectively—while the Genepool label had picked up the Savoy album for UK release that month. A dream ticket for a-ha fans, the three members each performed individual sets before coming together for songs old and new. Sadly, the Savoy Songbook wasn’t a big seller in the UK, and it remains to be seen whether there’ll be a second volume. The next few years would see the release of a-ha’s ninth studio album, Foot Of The Mountain, and a new compilation album, appropriately titled 25. The band also embarked on the Ending On A High Note tour, a title which would prove something of a misnomer several years later! Musically, the single was an extension of the synth-pop direction that had informed a-ha’s Foot Of The Mountain album and its attendant swansong, ‘Butterfly, Butterfly (The Last Hurrah)’. Beginning with some lovely Elton John-esque piano flourishes and featuring a typically soaring chorus, the song would have been perfect for a-ha. The songs’ lyrics were steeped in melancholia, and detailed a scenario in which Pål had been left at home for a week while Lauren holidayed in London: “So you’re going for a week to sort out your head/ So you left me here to keep things going”. During interviews to promote the single, Pål had hinted that the project with Gnecco would stretch to an album, but this never materialised. The next few years would see Pål stockpiling songs for Savoy and other artists, including Gnecco’s daughter, Zoe. In 2012, Pål and Lauren helped out their studio engineer Eliot Leigh—who was using the pseudonym, Infuze—on a dubstep recording titled ‘Far Away’, supplying lyrics and a guide vocal melody. Pål also produced a song for Scent Of A Woman, a short film that Lauren had directed in 2013. Pål wrote and produced three songs for Linnea Dale’s 2014 album, Good Goodbyes; namely ‘Better Without You’, ‘Sweet Life’ and ‘With Eyes Closed’. Pål was certainly impressed with this particular project: “I loved her voice from the first moment,” he told VG. “This is the first time I’ve done something like this, and I liked it. It felt good; a different perspective.” Dale was a former Norwegian Idol finalist who had been mentored by Morten Harket. She had also guested on synth-pop act Donkeyboy’s album, Caught In A Life, later performing with them as a support act for a-ha on the Foot Of The Mountain tour. Pål also appeared on Hågen Rørmark’s album, Alt Eller Ingenting, performing drums on ‘Ensom Leter’. Rørmark had met Pål via chance following the terrorist attacks in September 2001 and later played harmonica on Savoy’s ‘Is My Confidence Reeling?’. (Rørmark also co-wrote ‘Undecided’, a bonus track on Morten Harket’s Out Of My Hands album). Plans to release an album under the Waaktaar name were aborted when, in the spring of 2015, a-ha announced a new album and tour. Following a-ha’s 2010 break-up, Pål and Morten had kept in touch and worked on new material…they just needed a reluctant Magne to green-light a reunion. The band eventually released their tenth studio album, Cast In Steel, in September 2015 and the project would keep Pål busy until 2016. With his a-ha commitments completed (for the time being at least), Pål was able to turn his attention to the completion of albums by Savoy and his collaboration with Zoe Gnecco, which had been mooted in the spring of 2016. 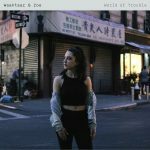 Prefaced by a single, ‘Beautiful Burnout’, in September 2016, the World Of Trouble album followed in February 2017, with a front cover featuring a photo of Zoe taken in Mott Street, New York. Whilst Pål had played most of the instruments on the album, a few musicians were drafted in to perform on some of the tracks, including ‘Open Face’. Kurt Uenala, who has collaborated with Dave Gahan on recent Depeche Mode releases—including Spirit—played a synthesizer part on the track, giving it a pleasing commercial glaze. The album’s most electronic track, it was released as the third single. The origins of ‘They To Me And I To Them’ could be traced back to the early days of a-ha when titles like ‘She’s Humming A Tune’, ‘We’re Looking For The Whales’ and ‘Touchy!’ formed part of a provisional list of debut album contenders. 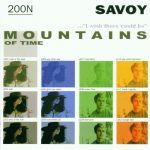 Some of the lyrics to ‘Beautiful Burnout’ stemmed from a demo version of ‘Foot Of The Mountain’, while ‘Winter Wants Me Empty’ was actually a cover of Savoy’s ‘Unsound’, with some lyrical tweaks. Meanwhile, the more politically-charged album closer, ‘The Sequoia Has Fallen’, had originally been inspired by a trip to the Redwood National Park in California in the early 1990s. “Here we are/ Hamsters in a wheel,” sang Zoe on the equally-impressive second single, ‘Tearful Girl’. Her versatile voice was this time deployed in a more ethereal style, with an effective use of toy piano and funky guitars. ‘Mammoth’ was as epic as the title suggested, and featured another of Pål’s trademark soaring choruses, replete with some lovely harmonies. ‘They To Me And I To Them’, meanwhile, showcased Pål’s considerable guitar-playing skills, and there was some captivating imagery in the lyrics (“Monochrome-like pictures/ Adorn the entrance hall/ Floor-to-ceiling walnut shelves/ Embrace the wall”). Sadly the album slipped by virtually unnoticed as attentions switched to a-ha’s Summer Solstice project, which was a shame as it was an album that deserved to stand on its own merits and reach a wider audience. With the release of the career-invigorating MTV Unplugged – Summer Solstice in 2017, a-ha’s stock hadn’t been as high since their mid-80s heyday. Pål was particularly busy that year: Aside from contributing a new song—the country-tinged ‘A Break In The Clouds’—to the aforementioned live project, the 56-year old musician also released the impressive World Of Trouble album. He was also the subject of the Norwegian-language book Tårer Fra En Stein (‘Tears From A Stone’) by journalist Ørjan Nilsson, which has attracted some very favourable notices. It was also announced that Pål had mixed the second album by Bridges, which had lain dormant since it had been recorded by the pre a-ha band in the winter of 1980/1981. 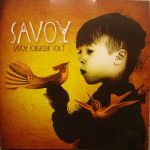 A brand new album by Savoy was also pencilled in for September 2017, but delayed due to the October release of Summer Solstice. But, with a small window available before a-ha commenced their acoustic tour, Savoy were finally able to release their first new material since 2007 in January 2018. Since the release of Savoy Songbook, Vol. 1, drummer Frode Unneland had busied himself with the Bergen-based ‘supergroup’ Evig Din For Alltid, releasing a number of albums on Apollon Records (the same label that has recently reissued Savoy’s Lackluster Me and Mountains Of Time). Meanwhile, Lauren had resumed her career as a filmmaker, releasing the award-winning 12-minute short Scent Of A Woman in 2013. The London Film School graduate had continued developing ideas for both film and television, including a series centred around controversial radio evangelist, Aimee Semple McPherson. True to form, Savoy’s latest album didn’t encompass wholly new material. 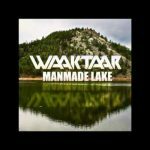 A new version of ‘Manmade Lake’—originally released under the Waaktaar moniker—was revamped in a new, in Pål’s words, “grown-up” version. Whilst the original track was certainly charming, with a lo-fi production that recalled acts such as Grandaddy and R.E.M. (circa Monster), the update benefitted from a more natural—and less distorted—approach. Elsewhere, ‘Weathervane’ had originally been recorded with Jimmy Gnecco in 2011, but the new version employed a slower tempo and stripped away the piano that characterized the original track. The ephemeral ‘Bump’ was originally written by Lauren for inclusion in the aforementioned film, Scent Of A Woman. The album’s lightest—and most throwaway—number, it featured some catchy Beach Boys-esque harmonies. Stretching back even further was the gorgeous ‘Falls Park’. On both Cast In Steel and World Of Trouble, Pål had unearthed some real gems from a-ha’s earliest days (notably ‘She’s Humming A Tune’ and ‘They To Me And I To Them’), and Savoy’s latest album featured a song that was written when he was just 16 years old – when he played it to Lauren, she assumed it was a brand new song. “It’s still fresh,” said Pål. “I hear it on the album with new songs right next to it [and] it doesn’t feel any different.” With some lovely lyrical vignettes (“I watch from afar/ Lunch bag and tea in a jar/ Whistling leaves and distant cars/ Falls Park/ I watch from afar”) set against a simple bossa nova backing to accentuate its vintage, it was certainly one of the highlights of the new album. Whilst the inclusion of whimsical songs such as ‘Falls Park’ were a welcome addition to Savoy’s impressive back catalogue of songs, perhaps the biggest surprise on this album—given the somewhat piecemeal recording process—was just how fresh and contemporary it sounded. The strong use of modular synths marked this out as a Savoy album unlike any other, and certainly one more in tune with the synth-pop stylings of a-ha. Album opener—and first single—’Night Watch’ (featuring a-ha’s regular drummer Karl Oluf Wennerberg), certainly set the tone. The lyrics, which featured a simple “just let it go” refrain, were conventional enough, and there was a euphonious blend of U2-like guitar work and keyboards…but listeners were taken on a somewhat bonkers detour with its playful mid-section of squelchy synths. Tracks such as ‘A Month Of Sundays’ saw the band exhibiting a sound—described by Lauren as “dark dance”—not dissimilar to Birmingham band, Editors (see In This Light And On This Evening), whose Joy Division influence was as obvious as Pål’s. Elsewhere, the wonderfully titled ‘Shy Teens Suffering Silently’ combined cold synth sounds—à la Gary Numan—with mid-period Beatles pop sensibilities. ‘Sunlit Byways’, arguably the catchiest track on the album, was let down slightly by a distorted vocal, but it’s a lovely pop song that resonates with both warmth and optimism (“When we walk/ Through sunlit byways/ Grab my hand/ When things go sideways/ As they sometimes will”). The album picked up a plethora of good reviews, but quickly faded from public attention once the a-ha touring machine was in full motion. The band did, however, manage to squeeze in a very well received Oslo show, and Zoe Gnecco performed with the band on four songs, including a version of ‘Under The Make-Up’, which she had originally recorded with Pål before it was later used on a-ha’s Cast In Steel album. Thanks to Matea Grøvik, Ørjan Nilsson, Jan Omdahl, Jakob Sekse and Kieron Tyler. Special thanks to Sara Page. Main photograph by Jason Brandenberg. This article, originally published in April 2017, was updated in August 2018.